Lakeview Village Apartments is a charming, pet-friendly community built with top-of-the-line amenities to support your energetic lifestyle. Enjoy a morning swim in one of our two sparkling swimming pools, or relax poolside with a smoothie and enjoy the free WiFi. Our tennis court, spa, and fitness center are perfect for working up a sweat or spending quality time with friends. Kids adore our outdoor playground fortress and pets love to play and socialize at our pet park. Or, hit the trail with your pet (or a two-legged companion) on the nearby San Diego County Trail System, which connects 350 miles of hiking and biking trails. 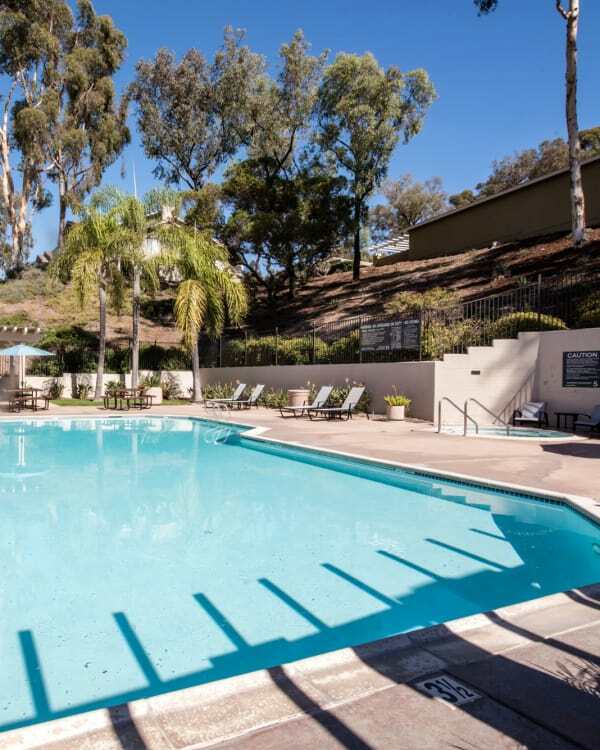 Lakeview Village is conveniently close to I-94, I-125, and public transit for an easy commute to San Diego. With access to top area schools, employers, and healthcare, our charming Rancho San Diego neighborhood offers the perfect pairing for your full, rich lifestyle in Spring Valley, CA. To experience these luxurious amenities for yourself, contact our leasing office in Spring Valley, CA. Let yourself enjoy life – and a little more comfort – at Lakeview Village Apartments.